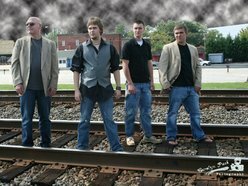 KBM Management (Promotion Page): Southern Experience - Band of the Day ! 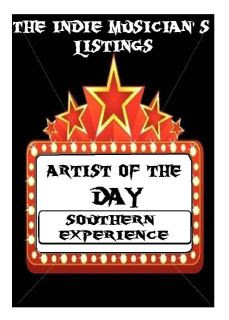 Southern Experience - Band of the Day ! Professional, Affordable, Family Friendly, and Fun. Southern Experience is a perfect fit for festivals, fund raisers, wedding receptions, community events and clubs. Drawing from a variety of musical experiences and influences this group is poised to make its mark on the Carolinas and beyond. The group's original offerings as well as fresh takes on Rock/Funk/Pop/Country standards are sure to get the crowd up on their feet and dancing. During a Southern Experience show you will experience flashes of everything from blues to funk to progressive rock all with just the right amount of Southern style. Lead guitarist & vocalist J. T. Fitch, the keyboards, guitar, harmonica and vocals of Scott Sanders and the drus & percussion work of Jon Humphries drive this band with boundless energy and creativity. Veteran bassist Ron Humphries rounds out the lineup with solid melodic bass lines and years of experience. Ron's resume includes stints with Artimus Pyle, Steve Gunner (CCR), Billy Scott and other national artists. Southern Experience just completed an original EP appropriately titled Beginnings. An early review of the Southern Experience Band used the term “dawning on the Carolinas.” Well folks, with the release of the new CD “Where I’m From” the sun is up and shining brightly. Produced by Marshall Tucker Band alumni Tim Lawter, and joined on three of the songs by legendary Southern Rock icon Paul Hornsby this album definitely has the Southern Rock “Seal of Approval”. A select group of fans recently heard an advance copy of the CD and of course the inevitable comparisons began; Atlanta Rhythm Section, Outlaws, Allman Brothers, Jason Aldean, The Black Crowes and even Gary Moore. The bottom line is over the last year they have developed their own distinctive style. Southern Experience is a group of real southern guys writing and playing the music they feel. They are an experience you do not want to miss. Crawley - Band of the Day !! Broken Wing - Band of the Day ! XAKESTAR - Band of the Day !! VLAY with Gary Gabriel - Artist of the Day !! Matthew Meadows - Artist of the Day !! The Indie Musicians Listings Music Sampler !! Slyther-RVA - Band of the Day !